A strong belief that the newly discovered avian influenza virus A-(H5N6) strain couldn't pose much threat to human life was common earlier. However, during the past five years, dozens of infected people were within an inch of dying. In 2016, a massive outbreak of A-(H5N6) was recorded on poultry farms in South Korea. The authorities were forced to take radical measures by killing over 30 million birds. These actions caused a shortage of poultry meat in the country and a significant price increase. In December 2017, A-(H5N6) has been detected recently on several duck farms in the south-west of South Korea. 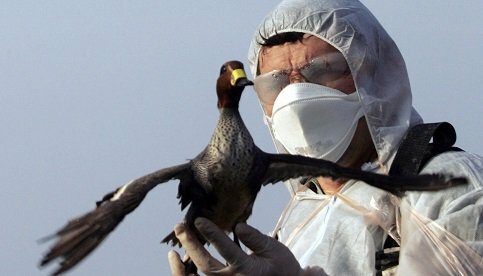 Animal and Plant Quarantine Agency (APQA) confirmed the existence of A-(H5N6) and to prevent further spread of the disease they culled 201 thousand birds. Despite precautions, the infection continues to spread through the whole country. In particular, the city administration distributed the leaflets with the manual of how to protect oneself from the virus. According to the leaflet, between December 2017 and March 2018 it is necessary to avoid contact with surfaces with bird excrements. 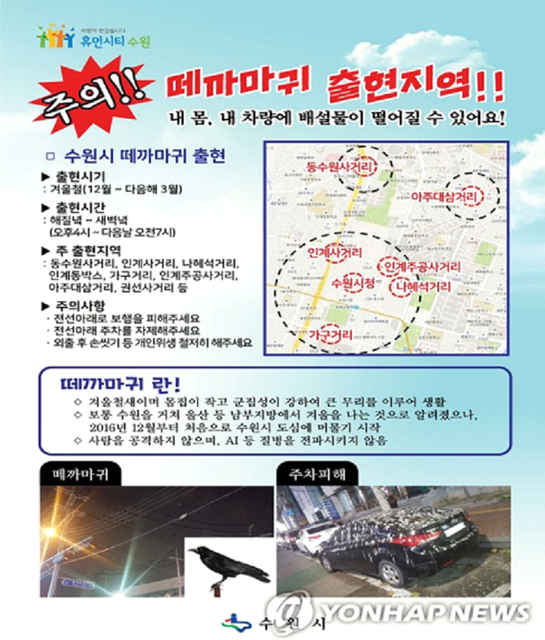 Also there are parts of the city where the probability of contact with the infected birds especially high. It's easy to guess that the spreading of these leaflets tells about difficult epidemiological situation in the country. Another reason to worry is the fact that civil services for disease control and prevention don't underperform and fall back upon military help. The participation of military resources in infection dispersion preventing is even a greater matter of concern. According to Yonhap News Agency the South Korean military spray chemicals in order to disinfect the territory until January 2018. Territories along roads and transport hubs are the priority objectives of the Korean military. Also, the Army monitors the situation by tracking the birds’ migration and collecting soil samples for the pathogens detection. The military involvement into outbreak control tells about real situation in the country. Nevertheless, Seoul guarantees the safety of tourists and the Olympics’ participants, as well as the readiness to host the 2018 Winter Olympics. Such behavior of South Korea's officials seems to be very confusing. The concentration of hundreds of thousands of people in a confined space provides best conditions for the spread of the virus. At the same time, after having had a long flight across the planet many guests of the Olympics will be jet-lagged, and it will negatively affect their immune system. It is important to note that the biggest threat of A-(H5N6) lies in the latent circulation among people. Various mutations occur almost unnoticed in a human body. If there’s a “meeting” of human and avian viruses, both strains mutate into a new type of a “super-virus” with the contagiousness of a common cold, and the lethality of the avian influenza. Once having returned home, infected people will become virus’ unwilled vectors. Thus, a local outbreak of A-(H5N6) in South Korean poultry farms may turn into a pandemic comparable to the 1918 flu pandemic that killed 50-100 million people within two years.